As a psychiatrist, I help people heal their emotional blocks and create abundance in all areas of their lives. Generosity is a key element to that. Generosity can take many different forms, including random acts of kindness. 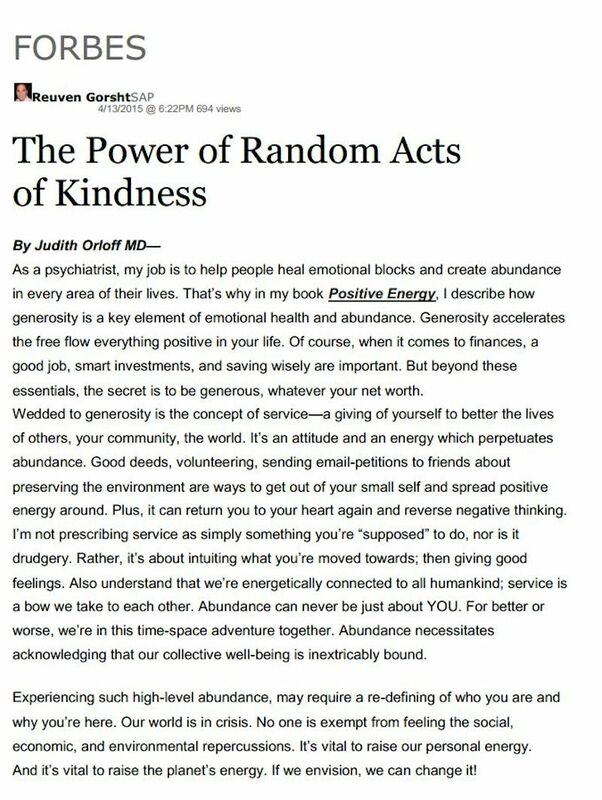 Random acts of kindness are selfless acts performed to either help or cheer up another (often a stranger) for no reason other than to make a person happier. 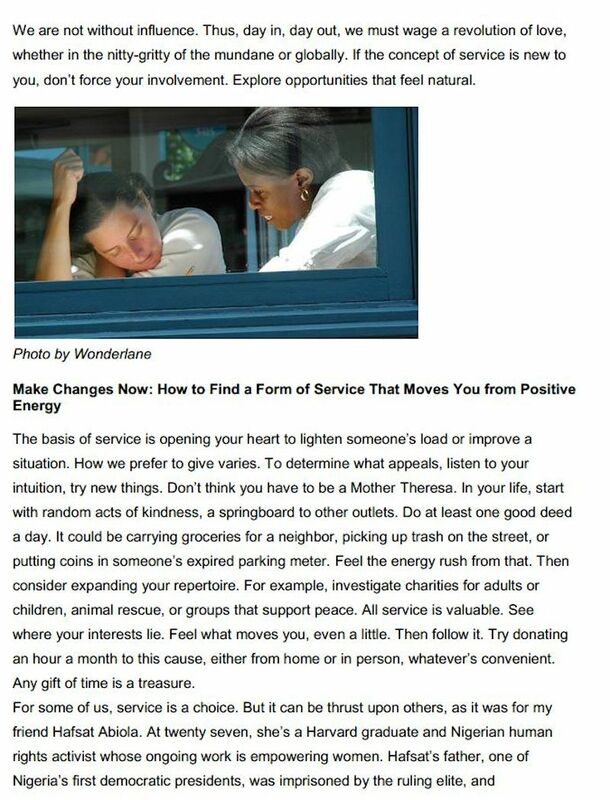 It can take the form of a good deed, putting money in an expired parking meter, sending a letter to a friend, or paying for the next patron’s cup of coffee. What’s most powerful about random acts of kindness is that they are rarely planned in advance. Instead they are intuitively inspired and usually begin with a spontaneous impulse in the moment. 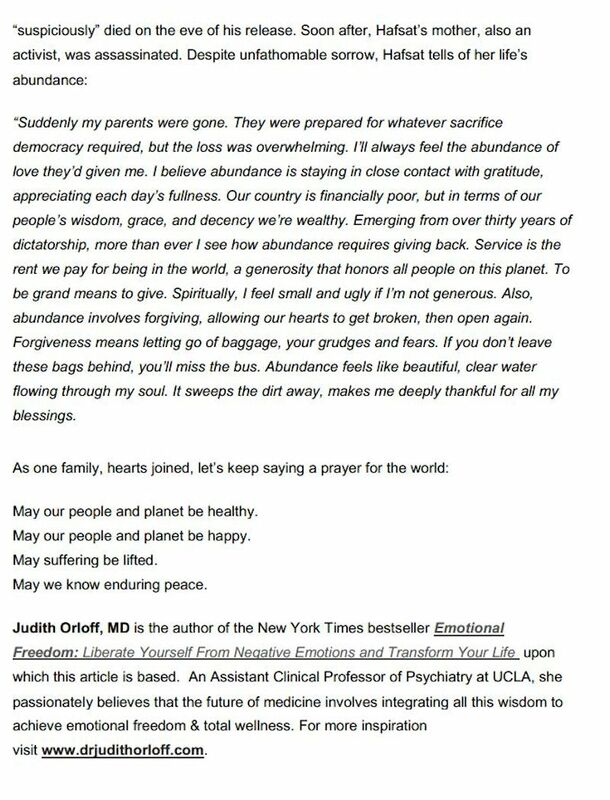 In this article in Forbes, I share details on the impact that generosity can have on our emotional health and abundance. Our generosity not only creates higher levels of personal energy, it opens our hearts and assists in raising the energy of the entire planet.